In the summer of 1999, I wrote some music for the feature film The General's Daughter. The soundtrack CD did well, and Russell Ziecker of Milan Records asked if I would write some music for a sequel CD, tentatively titled General's Daughter 2: The Field Recordings. I said “OK,” and started out with the best intentions...but as usual, I traveled off the path into strange territory. This music combines five early 20th century vocal recordings with new instrumental settings. During the process of structuring the pieces, the voices were digitally altered in pitch and timing; verses were transposed, and some were completely edited out in order to create new meanings (and new ambiguities). It is my hope that the vein of American mysticism which runs deep in some 17th and 18th century folk music also runs through this short work. 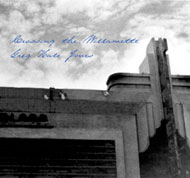 (From the liner notes of the CD available at CDBaby.com. 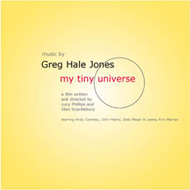 In June 2004, Greg completed scoring for a new feature film, my tiny universe,written and directed by Glen Scantlebury and Lucy Philips. The music beautifully demonstrates Greg's ability to write in numerous styles. This is a richly textured work that combines thematic music interspersed with striking jazz and percussion elements. Greg made several of the percussion instruments from found items for this soundtrack. 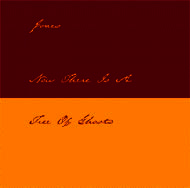 This CD includes five tracks (totaling 17 minutes) from key scenes and is available at CDBaby.com. And don't miss the Singles: Alone on the Island, Keys to the Kingdom, and Trouble No More. There are plans to release two more singles. Reproduction or use of text or pictorial content in any manner is strictly prohibited without express written permission from the site owner.